If you have subscribed to SOS, more than likely you are serious about your personal growth and development, spiritual healing, image and purpose in life. Often, I refer to the cocoon and the butterfly as a symbol of beauty, growth and transformation. The butterfly has intrigued me since I was little and it’s meaning became even more powerful to me as I began my journey of transformation. We are all striving to gain our wings. Wherever you are in your journey today, remember that some people will not accept, appreciate or support your growth. This is unfortunate, but it’s the truth. Do not -under any circumstances – allow their insecurity to keep you from moving forward. Putting in the work takes guts, grit, courage, lady balls, focus and ALL of your will power. Throughout my journey, I’ve experienced a resistance to my growth by others. I’ve been made fun of for being “too airy fairy” or too motivational, cheerleadery and positive. At first, this would cause me to pull back and dummy myself down. No one likes to be made fun of so we go against our authenticity by trying to fit in. This has never worked for me! I had a deep longing to become the best I could be and to overcome the issues in my life. We make ourselves miserable trying to make others feel more comfortable. How stupid is that?!? NEVER EVER EVER ALLOW ANYONE TO DULL YOUR SHINE! Ultimately, we dull our shine or clip our wings by allowing others opinions to overrule our own thinking. We need to take responsibility for what we allow. Personal growth and becoming who God created us to be takes work and major cooperation with Him. The work can be very painful at times, but what you gain on the other side is beyond worth it. SO, WHY WOULD YOU EVER GO BACK? People only want you to stay broken and in the same place because they aren’t doing their work to move forward. It’s time to limit your time with these types of people and your true friends will celebrate your growth. They will help you claim your wings and even be the wind beneath your wings. I’m so grateful for those friendships. 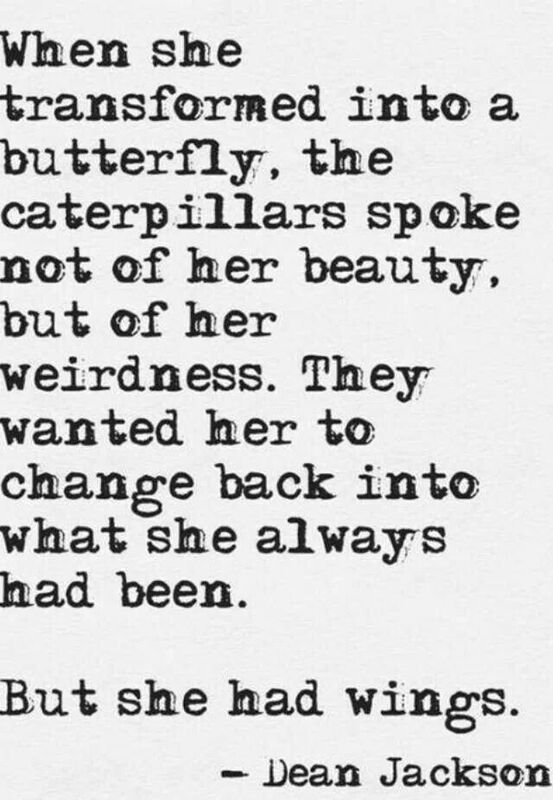 I look at how much my life has changed (for the WAY better) so if being too cheerleadery or positive is weird, then I’m happy to be a total weirdo and I adore those who choose to be weirdos with me. Have you experienced this? Do you “dummy down” to please others? Go enjoy the clouds today!